August is a travel and design magazine, whereby each issue focuses on one location. With every issue, you are transported to different contracting capitals around the world. The level of detail within August Magazine will have you completely immersed in the rich architecture. Buy a single issue or subscription to August magazine. Each issue presents different locations through quality photography and articles on a plethora of topics. Relive the sense of discovery and excitement through each page. August magazine captures a sense of wonderment that is often missing in our media-saturated lives. Alongside the amazing art and design features, you’ll find features which focus on meeting the locals of the great cities. Allowing you to understand their habits and pleasures. August Magazine showcases the sights and souls of each city. Giving an insight into what forms the fabric of each city’s unique culture. With every issue, you’ll be experiencing a different city for the first time. 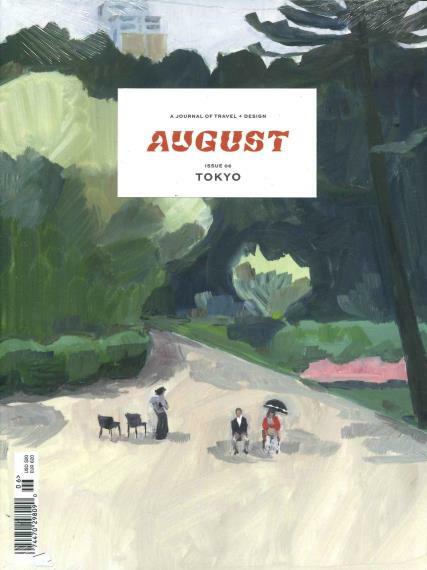 August Magazine is a biannual travel magazine.